This morning grandma and I both had a cold shower (the hot didn’t work) and had a breakfast of bread, pastries, fruit and nuts. 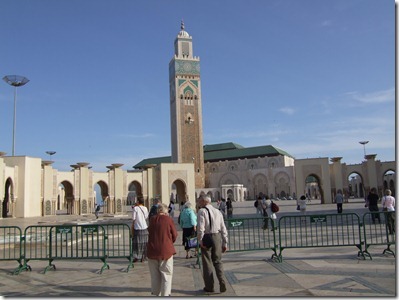 The coach took us to the Hassan II Mosque, the 3rd largest in the world after Mecca and Medina. 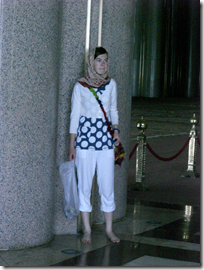 We took off our shoes and put on our headscarves, and after a long wait, went inside. 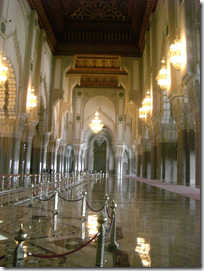 The mosque was huge, beautiful and strange. There was a marble floor with carpets on it, and the covering of the pillars was made from a mixture of limestone, clay, black butter soap and a few other weird things which I can’t remember. We then visited the hammam (Moroccan public baths), which is not used now, and there was a big pool with marble benches around it. 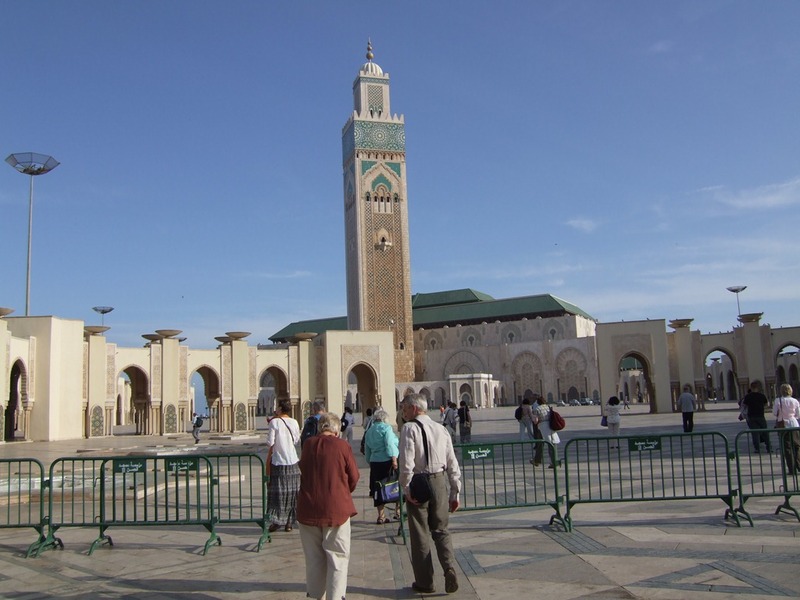 We are on the way to Rabat now, the capital of Morocco. 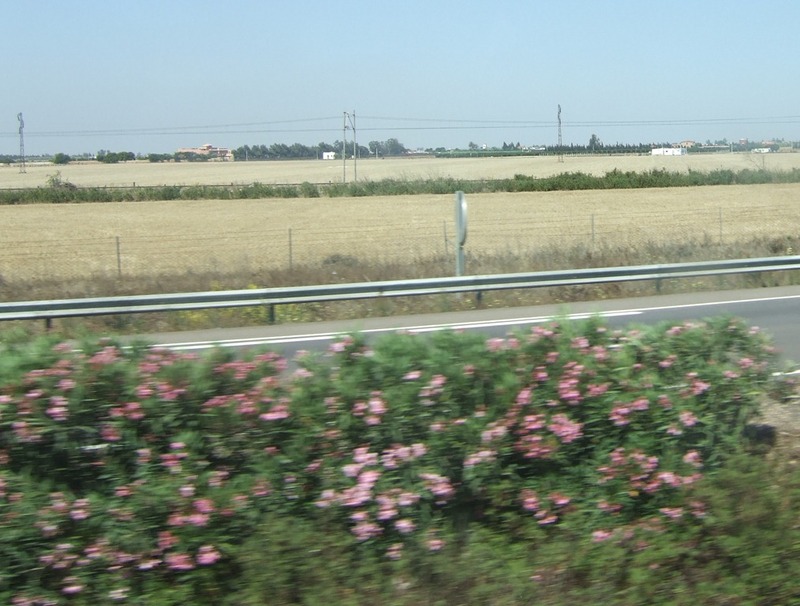 We are coming to the outskirts of Rabat now. We can see the Green Belt, which is a forest outside Rabat. 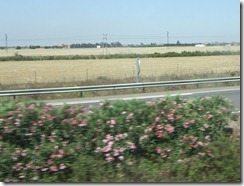 There are some very nice pink oleander bushes beside the road. We had a walk around Rabat. It was very pretty, with blue and white walls and narrow cobbled alleyways. A woman grabbed my hand and did a henna design on me and then demanded money, but I refused to pay and so did grandma. When we told Hassani he was very angry and wanted to find the woman, but she had disappeared. I washed off the henna (it left an orange imprint on my hand), but not before I had got some on my clothes. After that Grandma and I had some mint tea from a lovely sort of outdoor cafe. It is strange that although Rabat is the capital city, we are not spending very long here and we haven’t even visited the museum. However, I am sure Fes will be very nice. I am writing in the hotel room in Fes. It is a very nice hotel, but the staff don’t seem very friendly. Before dinner, I went for a swim in the hotel’s huge outdoor swimming pool. At first it was cold, but then I got used to it and it was heavenly after a long day of dust and heat. The pool is shallow at one end and 2m 10 at the other. I had great fun swimming while grandma watched. For dinner, which we had at 7:40, there was a massive buffet consisting of cold salads etc., hot chicken, beef, fish and pasta, and desserts. I had an almost backwards dinner, starting with a beef stew with potatoes, salad and a bread roll and afterwards having carrot with coconut (very nice). For pudding I had a slice of melon and two small pieces of cake. To drink I had more mint tea, which was lovely. After dinner we walked around the pool talking to Keith and Angie, very nice people who we met in the lift this morning!